Cutaway electric tenor model ukulele made from exotic Nyatoh wood with distinctive see-through, gloss finish. Java ukuleles feature an arched back and Canadian Nubone bridge saddles to increase projection and bass response. 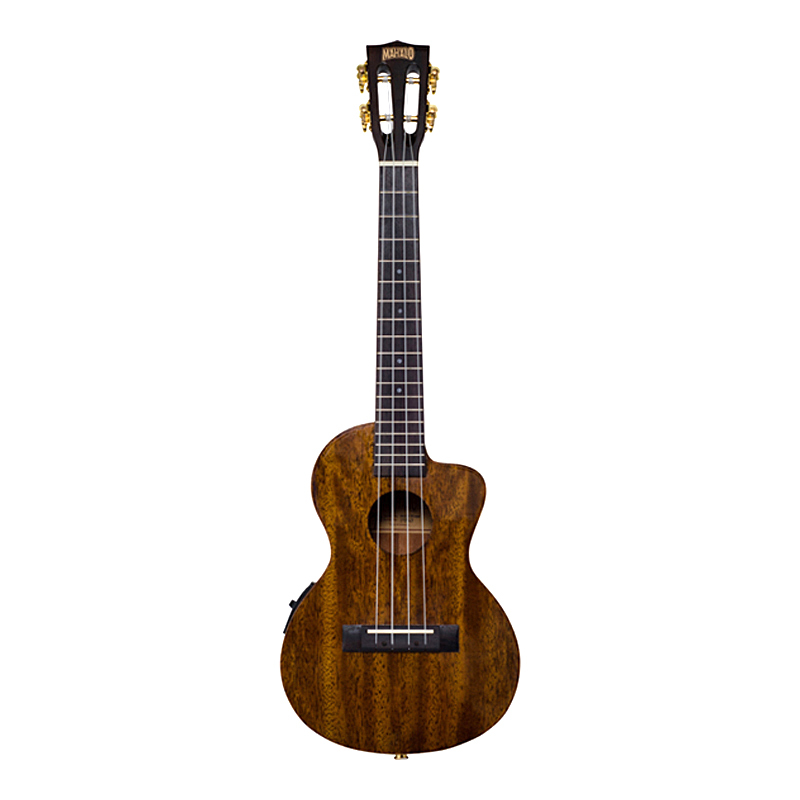 The tenor ukulele produces a deeper sound than the soprano and this versatile cutaway tenor model features a high quality B-Band inbuilt transducer and EQ to enhance the natural acoustic tone. Aquila strings are also fitted to produce a fuller, richer and more balanced sound.